Decals | | Industrial Marking Services, Inc.Industrial Marking Services, Inc.
Decals - Industrial Marking Services, Inc.
Vinyl graphic products are available in different sizes and colors. All of these products are constructed from high quality self adhesive vinyl material which can be applied to windows, doors, painted surfaces, boats, trucks, vans, or any un-waxed smooth surface. Custom made to meet your specifications. Choose the size, shape, material or color that meets your requirements. 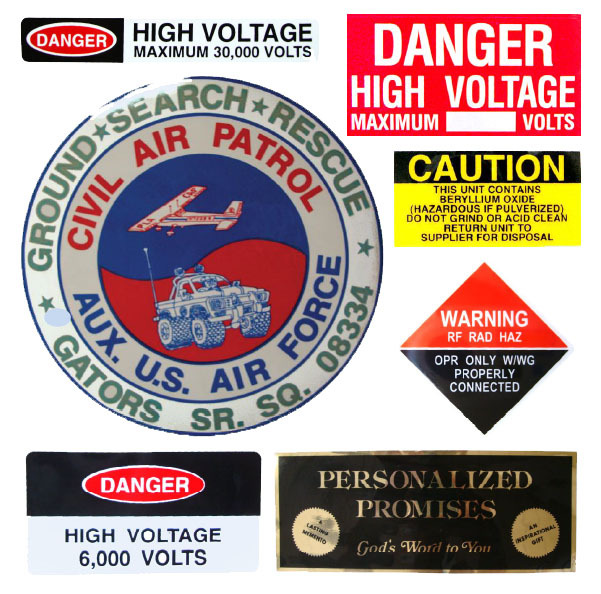 These decals and labels are used to identify products, places, equipment or systems; communicate ideas, instructions or warnings; promote companies, programs, services or events. Learn more about what IMS products can do for your company! Click here to contact a representative today! Copyright © 2011 - Industrial Marking Services Inc. - All rights reserved. Designed and Managed by Profit Gate, Inc.